Home / See & do / Top Sights / Top 10 / Mons with the family / Where’s the fun at? / Entertainment / You rock at Bowling la Barrière! You rock at Bowling la Barrière! For a successful strike, with or without bumpers! At “Bowling the Barrier”, your fun is their priority! Are you the kind that needs the bumpers? Either way, even the little ones will be able to get a strike! Adults will be able to challenge themselves on the 10 lanes, while the kids learn how to play on the 2 children’s lanes! After a game of bowling, why not continue with a game of pool! Fancy becoming king or queen / prince or princess of the strike? 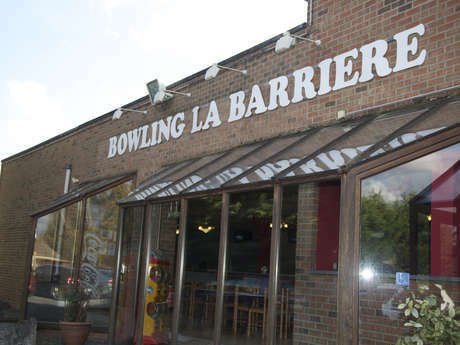 Bowling Barrière offers you the opportunity to take classes with a professional! No one will beat you again! On Tuesdays and Fridays (except public holidays), come and play between 1:30 pm and 6.00 pm, and take advantage of our special prices! On Monday (closing day), you can reserve the place just for you! Celebrate your birthday or any other event, decorate the bowling lane to your taste and the party will be even nicer! After putting all your effort into trying to knock down all those skittles, have a drink and satisfy your hunger at the tavern! Everything is set up so you and your family enjoy yourselves! Having fun at Bowling des Bassins!